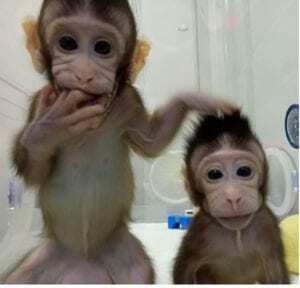 Chinese scientists have made history as they have successfully cloned monkeys, getting an inch closer to cloning humans. 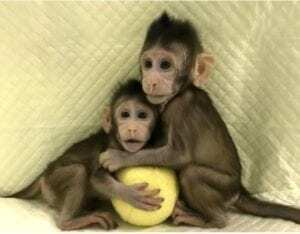 The scientists cloned Zhong Zhong and Hua Hua, two identical long-tailed macaques, born eight and six weeks ago, they were cloned from a non-embryonic cell. Researcher say the two newborns are now being bottle fed and are growing normally, and they will be making more macaque clones over the coming months. On the technique used to achieve this, the scientist said they used the same technique used in cloning Dolly the sheep two decades ago. This was done via a process called somatic cell nuclear transfer (SCNT), a process where the nucleus of a cell is transferred, which includes its DNA, into an egg which has had its nucleus removed.